Best Roundtrip shuttle from Phoenix to Flagstaff and Back! 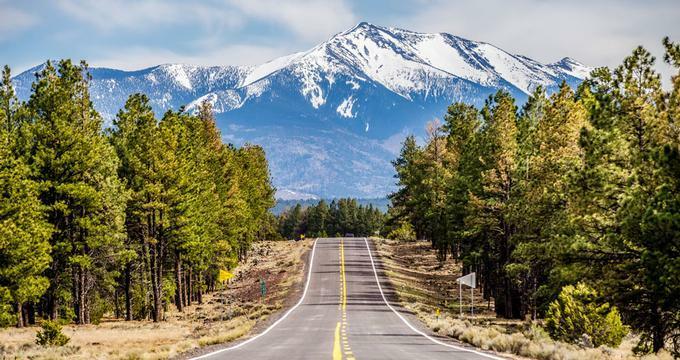 If you’re in a situation where you need to travel to Flagstaff from Phoenix, and then back to Flagstaff, you may be stuck thinking what to do after your previous experiences. We know that it can be tough to secure a round trip that doesn't take twice as long. A lot of shuttle services and buses stop and wait multiple times. It is really hard to find a shuttle that can help you come back and forth between the two cities without taking twice as long. Even if you do find one, then we’re pretty sure that it wouldn’t be a viable option as it can cost a lot. Taxi's normally charge about 2.3 times more than a shuttle. We’re here to rescue. Round trips from Phoenix to Flagstaff and going back to Phoenix will not be a problem. People often think they are saving money until they realize that other companies leave you at a bus stop, Denny's or a gas station. This means you may need to book rides with one or two other companies in addition to your cheap ride just to get to your final destination. With us we pick you up and drop you off at any address 24/7. We're open when other shuttle companies are closed and Uber and Lyft drivers are unavailable. Book our services today and enjoy the vast number of benefits and discounts that can definitely help your budget and save you a lot of time and frustration. How far is PHX to Flagstaff? The distance from Phoenix to Flagstaff is 115 miles and takes around two hours and 15 minutes with us versus about three hours and thirty minutes to reach Flagstaff or Phoenix on the bus or with another shared ride shuttle service. If you decided to go back to Phoenix from Flagstaff, then you can expect an addition two hours and 15 minutes. Normally, during rush hour one can expect the drive time to be increased by 15-30 minutes. We offer door to door services, coupled up with a round trip, we are your best option if you’re located in Phoenix or Flagstaff. The best part is if you book a round trip with us, then you will automatically receive a 10% discount for both one way trips. We have an extensive fleet of vehicles that will cater to all your needs especially if you’re looking for a round trip shuttle service. A Mercedes Sprinter can carry 11-14 people and all the vehicles we have on our lot are comparatively new and in excellent condition. If it's 1-3 people we normally pick you up in a nice car. Shuttles are used when it's 4+ people or you have a lot of bags. 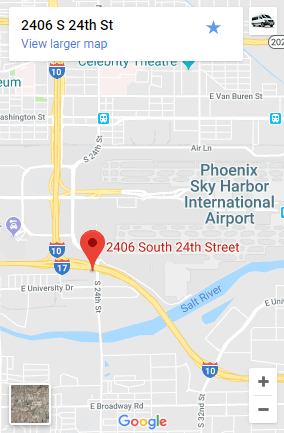 You might be thinking what would happen if your flight gets delayed at Phoenix, in such a case your pick-up time will be adjusted automatically to thirty minutes after you land, which was originally allotted for your pick-up time. Some exceptions are if it's an international flight, we will normally give you 45 minutes to clear customs and get to the pickup area. We are the absolute the best shuttle service in town simply because we deliver non-stop door to door services that are top-notch and our drivers are on time. We offer discounts that give you an edge while looking for round trip services since we know customers are always looking for ways to save their money. So what are you waiting for? Call us today at (480) 757-3010, and book the shuttle service you and your family deserves!